David Safarian is an Armenian film director and artist, born and raised in Yerevan. In September he was invited to the Eye Filmmuseum in Amsterdam for a special retrospective of his work, which marks the European release of his new film — Hot Country, Cold Winter. 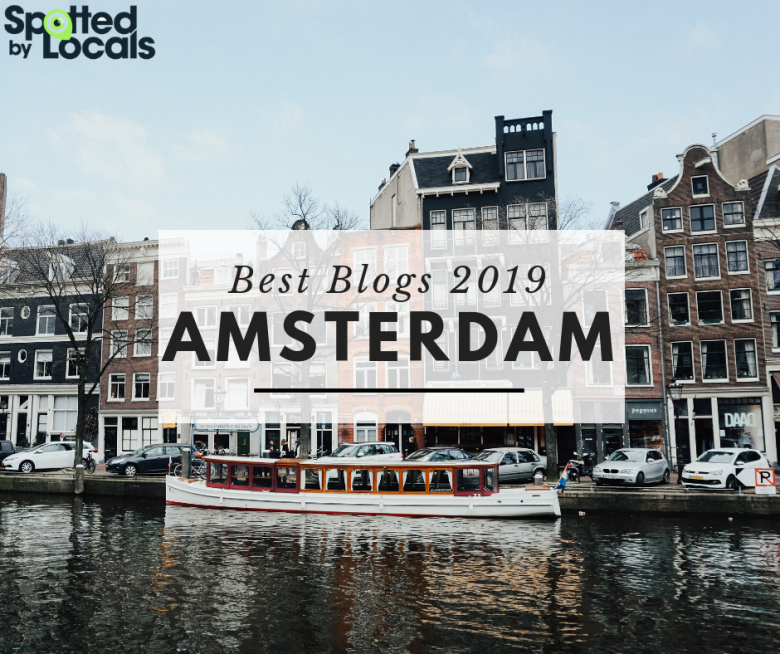 I had the honour of interviewing him during his stay in Amsterdam; our discussion was long and fascinating, and I tried to summarise it for you. He is a warm person, very talkative (you can never just have a quick chat with David Safarian), he is exuberant, passionate, effervescent. You can see in his behaviour the multitude of ideas going through his mind at the same time, the variety of things he wants to show and tell you, the love for his work. He had a document case full of pictures that he wanted to show me, pictures of the people he’d met throughout his life who are dear and important to him: family and celebrities mixed together, but also paintings, articles and posters. I went to see 28:94 Local Time (the longer version of Hot Country, Cold Winter) and I can say it is a touching and very poetic movie. A few Armenian spectators cried, re-living moments from their own life. The times it presents are dark times (literally and figuratively speaking), but I liked that the film is not depressing: it shows everything with a hint of humour and it also gives hope. The main female character, Katya, was beautifully played by Yana Drouz, who is also co-writer… but, let’s not make my intro too long, so you have more time for the interview. 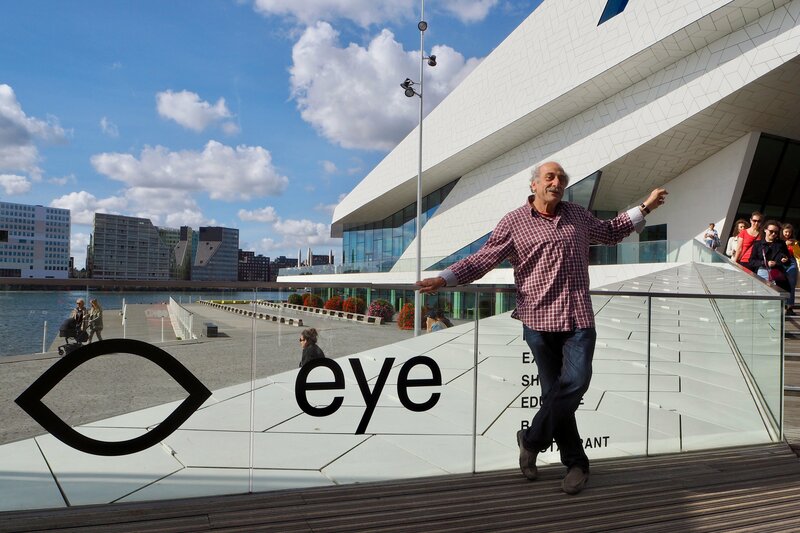 You are invited at the EYE Filmmuseum this month, where a couple of your films will be screened. 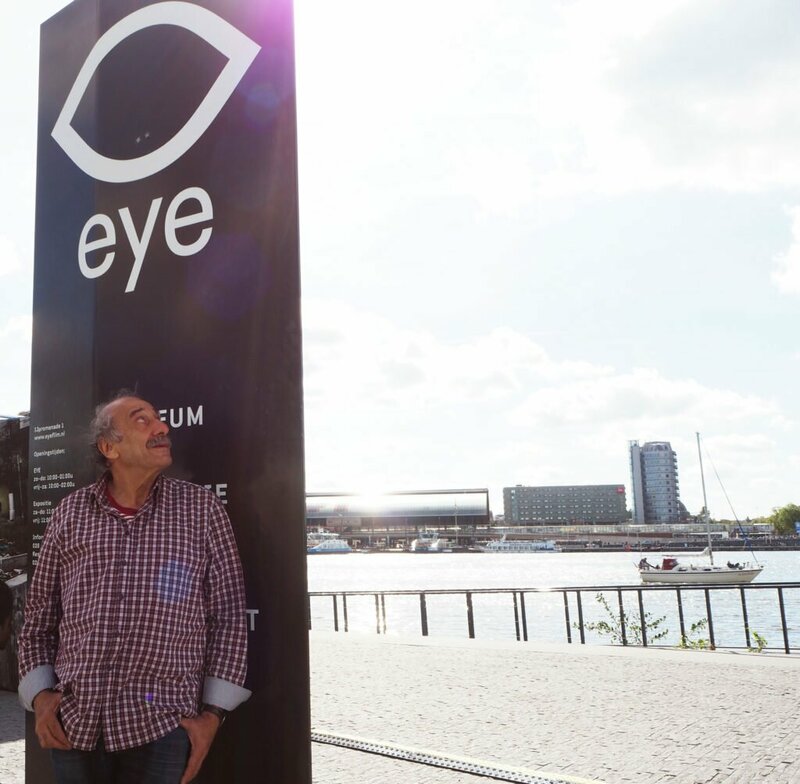 What can you say about this event and your presence here at the EYE in the Netherlands? DS: I’ve been surprised getting the information here that within the last 25 years it is the first time when a film from independent Armenia gets a European release. The Premiere of the Director’s Cut of 28:94 Local Time in EYE will take place on 20 September, the day when the release of Hot Country, Cold Winter (the shortened theatrical version of the film) starts in Benelux countries. The EYE Filmmuseum decided to “refresh” my name for the spectators, previously screening ten of my films, on 17 and 18 of September. This was Renee Wolf’s idea, who is heading the programming for the EYE and, of course, I appreciate that very much. Another thing I realised just being here: it’s exactly 25 years that I am connected with the Netherlands Film Museum. My feature debut Lost Paradise was purchased by the Head of Distribution department of The Netherlands Film Museum, Rieks Hadders in 1993. Before the Rotterdam International Film Festival official screening, I told him and all of my spectators in the full house of Luxor Cinema that he was the bravest man in Europe, as one who decides to promote an Armenian film in Central Europe has to be very brave. The film was a success, and for months was screened in cinemas. After the premiere, Sandra den Hamer, who at that time was the Head of Hubert Bals Fund of Rotterdam Film Festival and now is heading the EYE Filmmuseum, turned to me, “David, what is going to be your next project? We would like to support it, to participate.” I took a deep breath thinking what to answer, I was not prepared for that question, I was still deep in my Lost Paradise. My wife, Yana Drouz, the actress of the principal role, replied, “He would like to make a film about the place, the courtyard where he grew up, about the people there, with recollections from 60s, 70s, and today’s circumstances.” This is in a few words what Hot Country, Cold Winter is about. I just had to agree but when Sandra left, I asked my wife, “Yana, what was that?” She said, “Well, isn’t that what you want?” — Indeed, it was. So, the star of the show is the film Hot Country, Cold Winter. What is this film about? D.S. : The film is about us — and I don’t mean us, Armenians — the film is about us, the people. It’s a story of love and survival in challenging times (as it’s also written on its poster). It is about a man and a woman, who live and survive in near-absurd, terrible circumstances of total energy crisis, a blockade which we experienced in the beginning of the 90’s. Some people ask me if this is an autobiographical film, and my answer is, “No, it isn’t, but it’s quite a bit of my story, my family’s story.” And there are notions within that are relevant worldwide: people, love, mother, brother, cold, hot… they are the same all over the world. With its recollections of the late ’50s, ’60s, ’70s and ’80s, it becomes a story of my generation. It starts in the late ’50s as I said, when the main protagonists were children, and it ends almost nowadays. That is the whole story. The General Secretary of FIPRESCI, the famous German film critic Klaus Eder, qualified my film as a “document of its time” and noted that this happened in movies not often, but very seldom. This is a great appreciation. And Hot Country, Cold Winter is a hundred-percent feature film, a piece of fiction. Due to financial issues and some other matters, I worked on this movie for over 23 years, from 1993 to 2016, so it’s almost a quarter of a century and almost the whole period of the contemporary history of my Land. I’m happy that the European release of the film comes in a moment when in my country things are changing, and for many of us in a moment which is full of hope. So, you are saying that the film is inspired from real life events, but it is fiction. DS: All of the protagonists have their prototypes. It’s an inspiration from real life. But, usually, I see metaphors in real life, and I’m happy the film got its special style. The style comes from my previous works. If you watch my documentaries, you can notice that the way I am cutting, editing the film, is not cutting by the picture or with the music… I am cutting the energy: the highest or the lowest points of it to each other. One can see this even in my first films. That — I’ve developed farther, and that is the way I have done this feature film. Then one other thing: my camera is fixed, recording the condition of my actors and the metaphor in the picture. You made quite a few documentaries in your life. What do you like about this kind of film? DS: I come from documentary. My DOP (Director of Photography) is a documentary filmmaker. Documentary teaches us to fix reality. DS: Of course, I’m not just recording as it is with documentary film. Of course, I am directing, I’m constructing the reality in my movies, and it’s another, a new reality, with real relationships — but my metaphors. And then it’s fixed. With all of its metaphors and mystics, it’s becoming a film which could be defined as a document of its time. That gives me another chance to tell the truth and not to lie. You know, you could say that the cinema, the film was invented to lie. But people are lying with words, the lie is in words. Remember, the cinema started with silent movies. It was hard to lie without words. You can tell a fairytale, but not tell a lie. Fairytales and lies are two very different things. What is the main message of Hot Country, Cold Winter? Do you live in Germany now? DS: No, I live in Armenia. I made this film as a coproduction: German-Dutch-Armenian. Postproduction was mainly done in Germany․ Years ago, I received support for developing my project, a scholarship for audio-visual professionals in Berlin. I lived for years in Berlin; I was a professor at the Kassel University. I appreciate that while being in Germany I was able to keep my profession: I could make films and paint. During that time, it was absolutely impossible to shoot films in Armenia, and nobody would buy my paintings there. In all of my life, I made my living only with two things: with my films and my fine art works. Between 1996 and 2002 I had exhibitions in Berlin, Belgrade, Paris and then later at home, in Yerevan. DS: I am lucky, I am lucky for that and I am lucky with the people I’ve met in my life and I learned from them. I was thinking… Look, first my grandpa, Sargis Safarian, he was one of the founders of Armenfilm Studios. Hot Country, Cold Winter is dedicated to his memory. I was four when, led by his hand, he took me to the film studio. At that time we lived here and there, moved from one place to the other and there was no courtyard where I could play. Even if I was four years old, I remember very brightly how I said, “I want to play in this yard!” And I still play in this yard. The yard is gone, but my play is alive! Why do you say that the yard is gone? DS: In fact, Armenfilm Studios does no longer exist. Did you want to be a filmmaker since you were a child already? Yes, you shouldn’t have idols, but when it’s about art, you can and you should have them — you should have the ones you adore. DS: Now, after having made films, I look back and I see there was some movement, moving things in my fine art works, in my paintings. But I was missing the moving picture when I was drawing. I have a memory from when I was five, maybe: I drew a cat, and I remember how good it was, and how my father went to call my mom from the other room to see the drawing. But when they came back, there was a paper in front of me almost all covered with black. Father asked, “Where is the cat?” and I answered, “The cat ran behind the wall.” This was, probably, my first movie (laughs). But when I realised that you are able to not lose the cat, but follow it behind the wall and then go and shoot from the other side, I turned to film. That’s also my ideology in filmmaking: I look at the subject not just from one side, but from all the possible sides, and this makes it multidimensional. Thank you for bringing me to these thoughts, it’s not very often that I speak this way with people! You were a professor for a while, at the Kassel University in Germany, heading the Film and TV Department. What would be the most important advice that you think you could give to a student? DS: I was not heading, I was co-heading with Yana Drouz. She still goes on with her professorship there. And about the important advice: there are no recipes. You can’t say “you should do this or that”. I believe that all the things which are changing something in art, in culture, in general in life, are the steps you do against the rules, crushing them. But you should first have the knowledge. As a professor, I am there to share my professional experience and my life experience with my students. Not to teach but to study together. And I am there to show them the various ways of film making. If you decide to be a professional, you should know these ways, otherwise you are as in a dark forest for all of your life. You should know — there are these and those ways. You can continue going the existing way, or chose to open a new one, your own way. And then, that’s your choice. But then you’re doing this with knowledge of the subject. Because you are making films about Armenia and Armenian life, I want to ask you if you think that as a filmmaker you have a responsibility to show the Armenian culture? DS: A responsibility, yes, and I feel that I can, that I am allowed to do that: I studied it. I was born and grew up in it. At first, I studied my native language and culture; after, the Russian culture and West-European art history, then the same worldwide. At the Fine Arts and Drama Academy in Yerevan, at the Film Academy in Moscow, at the Hermitage in St. Petersburg, at the Louvre, at the Prado… To be able to speak about your nation, you should know as much as you can about the others. The coming generations should know about the things we know, we should pass all that we got from the generation of our parents and grandparents to them. You know, until my generation, from my ancestors to my grandfather and to my father, they all passed their knowledge to me, and I feel and have a responsibility to do that, too. This shouldn’t end with us. Otherwise, all will be gone. And this is not only in connection with Armenia, this also is to be taken in a worldwide view. I have one more question, one that I ask in all my interviews: what makes you happy? DS: When the people understand me. Do you think they would understand you better through your films, or your paintings? DS: Sometimes, it’s enough just sitting in the tram in front of someone, looking into each other’s eyes, to realise that you understand each other, this person understands or could understand you… But when I share my life and professional experience with someone who is sharing with me their life and professional experience, then that can make me really happy! As I said, I am a lucky person for having met so many outstanding people, outstanding with their human qualities: talented as artists, as scientists, but more importantly — as human beings. Thank you for this great interview with a master of cinema about a masterpiece of cinema. A film about all of us, the ability and strength of the human being to stay human. How important this message is today! I watched this movie several times and I always leave the cinema with more strength for life and for living together. A must-see film. And not just once!